This McAfee uninstaller should not be confused with the much less powerful McAfee Consumer Product Removal (MCPR) Tool which only deals with consumer grade software. Both of these tools were written by McAfee and not us. 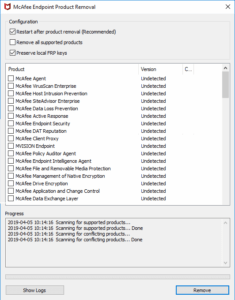 We have found this tool to be very helpful in dealing with McAfee products that were installed manually, through scripts and SCCM and through integrated products like Dell’s Endpoint Security bundle. 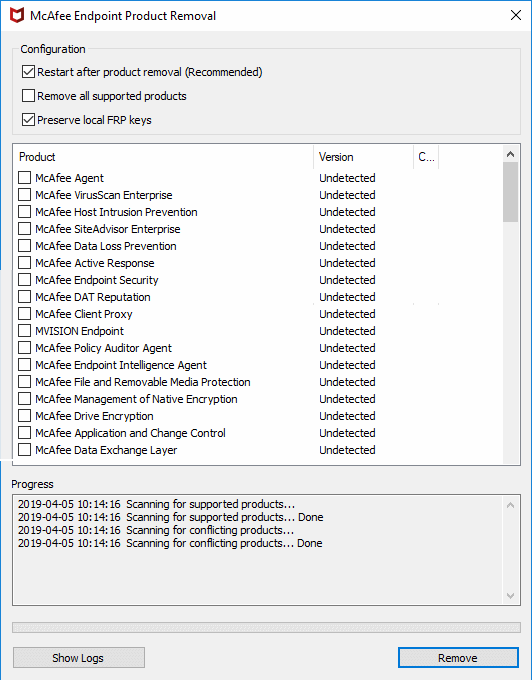 You can download McAfee Endpoint Product Removal tool directly from us HERE.